I made a mistake on Monday evening. A big mistake! I asked my brother-in-law if he would pass me the salt and pepper. Somebody’s ears picked up on the word “pepper”. My sister and her husband groaned! Bedtime that night was quite a battle. For I had inadvertently reminded my twenty month old niece of her favourite cartoon – Peppa Pig! She did not want a bath. She did not want a clean nappy. She did not want her pyjamas. She did not want to go to sleep. Again and again and again and again and again she said: “Peppa”. It was a very late night! We tried so hard to distract her. Poor baby! It was almost midnight by the time she finally closed her eyes and drifted to sleep. It was not my goal to upset the bedtime routine and make my niece distraught! It meant that we had to watch a lot of Peppa Pig on Tuesday before we went to meet the family. We watched more on Wednesday before heading out. We even watched more of Peppa Pig on Thursday before we drove up to Cheshire. I need to remember not to say Peppa or pepper again in front of my niece. Well, at least until she has a new favourite! For now – all that matters is Peppa! I had such a wonderful time in Wales though. The internet signal is abysmal in that part of Snowdonia! I took some photos and will share some more of my wonderful family with you and our antics over the past few days. The adventure is not over quite yet. Much more love, laughter and living ahead! So sorry if I have missed some posts. I tried to catch up each evening. The internet in Cheshire is so much better. Less mountains on the Cheshire Plains. I kept trying to type comments and they would disappear. I am blaming the internet connection in North Wales! Heading out for more fun, food and frolics this evening. Love and warmest greetings to all! Wonderful story. I think every mother could identify. it’s all an eye-opener to me! Little ones have big personalities! Thank you. So lovely to be with family! 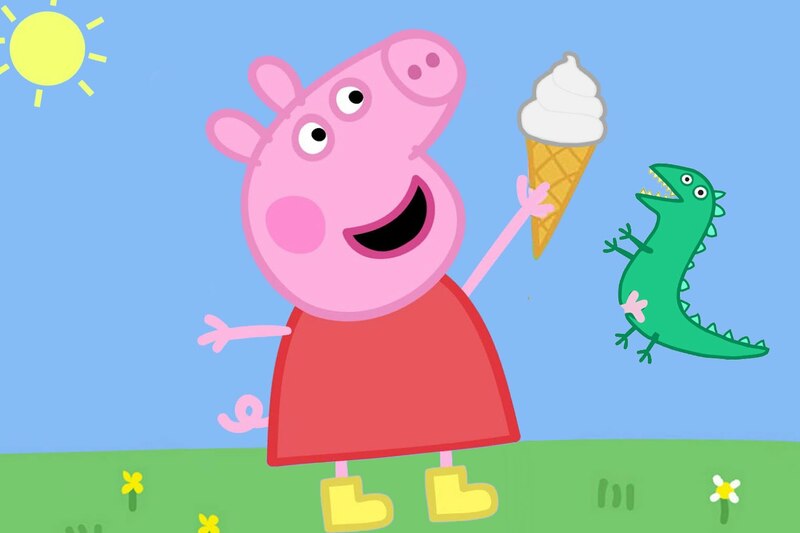 I love Peppa, always have and always will, oink,oink. Ha ha! Len – I had never seen Peppa before this past week – but after watching hours of it, I think I am a convert! My little niece is so good at making oink noises! Enjoyed this. Funnily enough we have been having a chat about Peppa just before I read this. It’s been a bit of a Peppa day. Peppa can be quite profound at times! Watching Peppa with my niece was like going back to school. I feel as if I need a list of banned words for next time I visit so that I don’t cause so much disruption! Pass the jar of black flakes of flavor? Bet there’s no cartoon with that. Now I know! In the future I shall ask for the condiments! They need to give me a list of words that I should not say. Oh she is so gorgeous though. I am going to write a post about her when I have time. Such a lovely personality developing.